US Secretary of State Signs Arctic Climate “Affirmation” | Watts Up With That? US Secretary of State Rex Tillerson has signed a document presented at a meeting of Arctic nations, which affirms the need to support the Paris Agreement, and take action on Climate Change. In doing so, Tillerson may have harmed US Arctic energy exploration interests. U.S. Secretary of State Rex Tillerson signed his name Thursday to a document that affirms the need for international action against climate change, adding further uncertainty to the direction of climate policy under the Trump administration. A video showed at the meeting before his remarks that was produced by the State Department referred to “ecological change,” not climate change. The first page of the Fairbanks Declaration affirms the need to support the Paris Agreement. One of the reasons given for tearing up the Paris Agreement is a centuries old precedent, which allows US courts to defer to international law, even if those laws are not on US statute books. If the U.S. withdraws from the Paris climate accord — an option gaining favor among top White House advisers — Charming Betsy may be partly to blame. Or, more specifically, the Charming Betsy doctrine. That’s a legal principle stemming from a 213-year-old case involving a schooner of the same name. It says that federal policies should be interpreted, when possible, so they don’t conflict with international laws. The doctrine has emerged as a major point of contention in White House debates over continued membership in the international climate pact. At issue is whether staying in the accord could legally oblige President Donald Trump to preserve carbon-cutting policies that he is moving to jettison. The White House counsel’s office warned Trump administration officials in a meeting Thursday and in a separate memo that if the U.S. stays in the global accord, it could arm environmentalists with legal ammunition for lawsuits challenging the president’s domestic regulatory rollbacks. While the Paris Treaty Agreement was never formally recognised as US Law, the advice of the White House counsel is that it could still impact the decisions of US courts when considering vexatious legal challenges to oil and gas drilling activities brought by environmental activists. 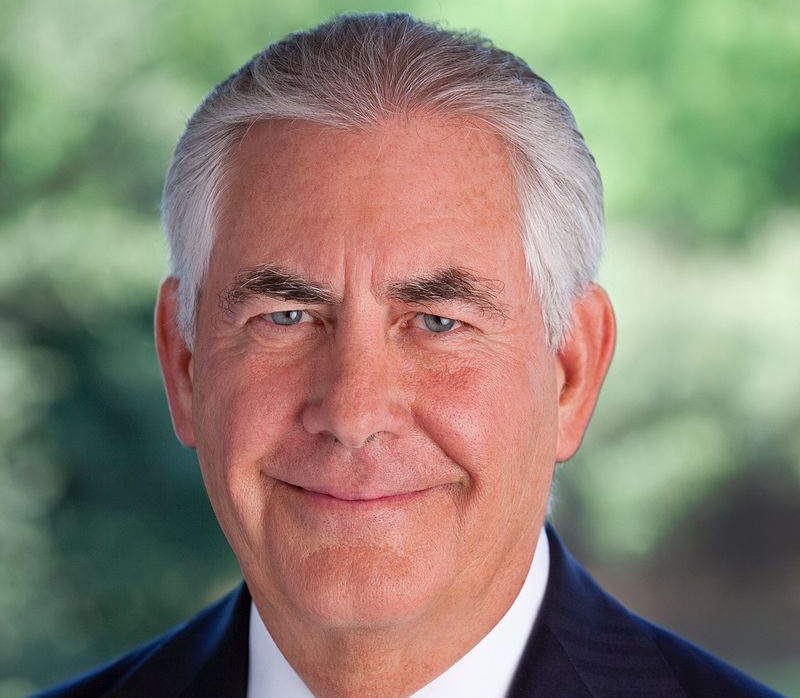 In my opinion, Rex Tillerson’s actions in signing the Fairbanks Declaration, with its affirmation of the need to take action to prevent climate change, and the need to support the Paris Agreement, likely worsens the legal environment for resource companies attempting to drill in the arctic, by providing additional ammunition for activist legal challenges. May 13, 2017 in Politics. Pres. Trump’s Pick to Replace Sec. of State Tillerson “Is a Bigger Climate Denier”! I’m wondering why the Russians signed, since they don’t acknowledge CAGW. There must be some other reason for them signing. The Russians have no intention of letting this “doctrine” interfere with their plans. However they can always use it against the gullible Americans. The Russians have no intention of letting this “doctrine” interfere with their plans. Neither do Trump or Pruitt. It’s in Russia’s (at least perceived) interest to latch everyone it can on to suicide pacts like the Paris Accord. Every watt-hour of energy conceded to the leave-it-in-the-grounders is a potential Russian sale at whatever jacked up price the carbon taxes will allow them to reach. And if, just by some bizarre act of God, the bed wetters are right, maybe Russia will become almost hospitable to human existence, even in the winter. If you’re Russian what’s not to love about global warming? And Tillerson surely knows why the Russians signed …… and thus the reason he signed. Tis better to be on the inside looking at what the Russians are doing …. rather than on the outside looking in and wondering what the Russians are going to do. And don’t forget what Tillerson et el said, …..
Well “DUH”, …… neitherwater (H2O) vapor or CO2 are long-lived greenhouse gases …. or even “long lived” atmospheric gasses for that matter. Now Nitrogen, probably so. What I was thinking was the Russians had a reason to sign that had nothing to do with CAGW, so possibly the U.S. is signing for the same kind of reason, not because of any worry about CAGW. So maybe he has another reason to sign other than CAGW fears. We’re not going to rush to make a decision. So having delayed the announcement twice in recent weeks, it now gets kicked down the road indefinately. Another Trump campaign milestone gets swallowed by the swamp. You’re reading too much into it. He meant CO2. 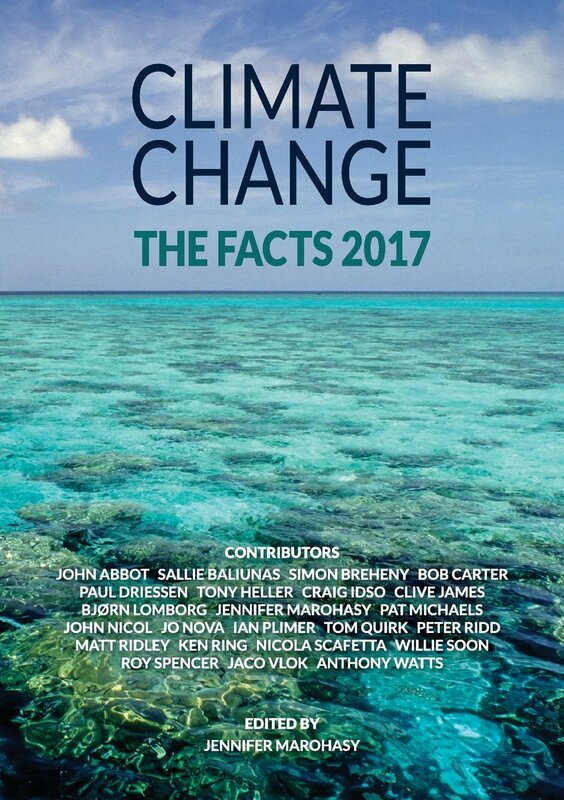 Many Russian scientists also contributed to the IPCC AR5 report in 2013. When did the Russians fail to acknowledge AGW? Well, Putin doesn’t agree with Russians who think humans are causing the climate to change. Guess who is boss in Russia? If Putin doesn’t agree that AGW is real and if Putin is in charge of Russia so they have to do what he says, then that returns us to the question of why the Russian government just signed an agreement calling for a reduction in greenhouse gas emissions in order to help reduce the rate of warming in the Arctic. Looks like the Russian (and US) governments are siding with their scientific academies on this, not their leaders. Yes, that is the question. Signing this document does not commit anyone to the Paris Agreement, since it is only an advisory body, but there might be some benefit from signing that has nothing to do with the climate. That is just one of the issues of concern to this group. Russa can sign the agreement with no intention of following the Paris Agreement, and the U.S. can do the same. but the Russians do acknowledge climate change… their whole arctic military strategy is based on continued ice retreat in the arctic. This alone ought to kill the Paris Agreement. We definitely don’t want to get federal judges any more involved than they already are, especially since Obama has appointed a lot of them to Office. Liberal Federal judges will be “involved” no matter what…Only the Supreme Court will throw their illegal rulings out ! Exactly. The Ninth Circus will be all over this, with lawsuits filed by every environmental group for every conceivable stupid reason. reckon another one needs sacking personally. This is serious. For me this is the first real test. If Trump goes soft on the climate scam then we are in trouble. Serious, indeed. If this keeps up, we’ll need to get to work soon: Cruz in 2020! Yep. It’s one of the reasons I voted for him. The chutzpah of this entire charade is so sickening. Chutzpah on top of chutzpah!! and i was open to the notion that trump was gonna drain the swamp. looks like they swamped the drain already. no promises kept; no expectations violated, right? How can we be in trouble if we’re right? The worst that will happen is the world will bankrupt itself, rather than going down in a fiery ball. And if the whole world is bankrupt, the status quo is maintained. My guess? Trump is playing games, namely, political chess. He stated his sceptical views, has started dismantling the EPA, yet employed Tillerson and Ivanka as ‘insider greens’. Logically, it doesn’t make sense, but politically I suspect it’s called ‘throwing a dummy’ (in Rugby terminology). Pretend to throw the pass, the defence reacts, and leaves you space to score the try. But to be honest, who knows with Trump. He’s a political novice and is making it up as he goes along. But his cabinet isn’t, however, they may be enjoying the freedom he is alleged to allow his business subordinates. The end game is that we sceptics may be bitterly disappointed if we cling to the idea that, somehow, Trump is on our side. He’s not. I suspect he’s on the side of American’s, but early skirmishes with his opposition haven’t gone too well so far. He has a lot to learn I suspect. And the political class have a habit of forcing leaders to toe the line. I am still very confident that Trump will deliver but I am putting in a marker so that if I a wrong there is no dispute. I do not agree that Trump is a political novice and I don’t know why people keep saying this. Not all politics is in government. The fact that he thrived in construction in New York tells me he knows how to do politics in the real world. funny, it continues to surprise me that Trump has not been accused of underhand business dealings. Or at least not major ones like routinely consorting with the Mafia. What also astonishes me is that in the ‘communication age’ a President comes along, uses Twitter to subvert a really nasty Democratic party, and he’s condemned for it. The western world has been screaming for more open door politics, it comes along and the left squeal like pigs that it’s unfair, as usual, as anything that doesn’t conform to their concept of anything is, of course, unfair/cheating/lying etc. I suspect Brexit and Trump have the opportunity of doing considerable good for mankind. They also have the ability to do a great deal of harm, of course, but I don’t believe that’s in either Theresa May’s, nor Donald Trump’s DNA. They are both positive leaders and not fearful of challenging the establishment. Good luck to them. My belief is there is always opportunity in change, I suspect all great leaders have embraced it. I do, however, retain the right to be wrong. … they will be a one term farce and you might even get a very decrepit Hillary as next POTUS. Cruz has no hope. If its not Trump again because he failed to deliver, then it will be some far left socialist. You Americans should have gone with Cruz, Cruz is a brilliant man Trump’s IQ can’t be above 101 and Cruz doesn’t have baby daughter pulling his strings! Clearly, Tillerson needs to go. I don’t think one can simply discard a person approved by Congress and run in a new replacement any time said person does something the media says goes against Trump. Trump would spend his entire tenure appointing new cabinet members. That would please the media to no end, I’m sure. I just don’t see it as practical. At this time we really don’t have any need to drill in the Arctic; we’re practically drowning in gas and oil right in PA and TX! Lots cheaper, lots easier to extract and ship than distant-waters exploration and development under extremely challenging weather conditions. Picking his battles, indeed! Good point, Goldrider. Signing up WITH the Russians stymies them and all the other signers. By the time that US needs to start drilling in the Arctic the AGW scam will be fully blown and treaties like this will be easily disposed of.. So those guys are certain that the will change the climate? Putting the Paris Agreement up for a vote in the Senate and having it voted down would negate T-Rex’s signature would it not? The Paris Agreement isn’t law anywhere — it is certainly not an International Law. It is barely an agreement…being so vague and purposefully non-binding. The Paris Agreement is like a good pair of boxer shorts — “vague and purposefully non-binding”. They tax you for the air you breath, how about that? It’s the framework of global totalitarian climate authority. You remember the benign interpretation of the UN climate protocol and IPCC formation. What did that become? The political skeptics have always been correct and the minimalists of the climate cabal design always proven wrong. Paris is a road map, another step toward a central planning establishment. You should research some of the minimalist expectations over the creation of the Federal Reserve or the Bretton Woods conference that both proved disastrously understated. Paris is a massive blueprint and all the authority and enforcement will be colored in over decades to come. It needs annihilation ASAP or another dehumanizing monster will walk the Earth. The legalistic face value is trivial to its actual significance. Throw a bone to the AGW crowd. The Declaration is just words, no actions required. Some positive things have come from the Arctic Council’s work such as guidance for shipping in the Arctic, and the BINDING Agreement on Enhancing International Arctic Scientific Cooperation. Those familiar with Sun Tzu know that one can often win more by NOT fighting some battles. At this late date, the “climate change” battle is one of propaganda–nothing more. By throwing a nothing-burger bone at the shrilly shrieking Left, they can be placated/diverted long enough to get more important things done. The bottom line here is this administration is pushing an “America First” energy revitalization plan, and that is going forward. Read all these “agreements” deeply–most are nothing but noise, not enforceable law. The shrilly shrieking left can never be placated or diverted. The only thing they will ever accept is total victory for their causes. Ralph: They can be distracted, however, and lead around in the directions one wishes. Meanwhile, they miss all the important things going on in Washington. But they don’t know what victory tastes like; only burnt earth. I suspect there isn’t really all that much “shrilly shrieking Left” to be placated, in terms of actual people with actual demands . . rather, I suspect there is a fairly large number of people who basically go along with the mass media narrative/talking heads virtue signaling jive, with some showy stuff that is amplified by same to give the appearance of a formidable “shrilly shrieking Left”. Then there is the globalist control freak elite, who simply want to rule the world . .
It’s that sort of pandering political calculus that main streamed climate fraud and the greater Greenshirt community for 40+ years. Trumps plan to finesse regulations on energy and avoid total Green/climate war conflict was flawed from the start. Tillerson has been selling Pruitt down the river of contradictions since the confirmation. There is no meaningful WH science team assembled to challenge the AGW/UN climate authority premise. It’s was a hand waving exercise to skeptics via an election promise without the logistics to do what was required. Some Trump support will drop on the sell out but the underlying anti-climate policy reasoning just doesn’t match the fanatical pro-climate forces amassed. It’s why skeptics are losing. You can’t pander to parts of the AGW agenda and argument then expect moderate policy results longer term. There just isn’t enough of a skeptic political base to force the President to follow through on the Paris campaign promise. Even that promise in itself isn’t enough to reverse the long term climate authority state planned. Dr. Lindzen’s UN withdrawal would be the best outcome nearterm but all the big money and forces are lined up the other way. It was never or has ever been about actual science. That’s the delusion of mainstream skeptics to this day. If the President was serious about long term unwinding of global climate authority Tillerson wouldn’t have done this or perhaps even hold his office. People have been fantasizing about shipping routes in the Arctic for several centuries now. Don’t think we’re any closer to that realization than in 1817 when the head of the Royal Society in London wrote to the Admiralty of the opportunities for scientific exploration and commerce that change in the climate and a decreased amount of ice offered. Sir John Franklin should have known never to trust the chairborne boffins of the Admiralty. Horribly misinformed by the actual sequence of climate policy history. It’s this kind of talk that brought us to this point in the first place. What does “noting” mean ? Bonus : How many air miles does it take for how many diplomats to screw in a light bulb ? It’s interesting to note CO2 is not mentioned , only “black carbon” and methane . Doctrine and policy can be changed by any administration. Neither are legally binding as laws. They are more like guidelines. Policy must not be based on pseudoscience. I deeply regret, that the US (still) doesn’t name a fork a fork and come clear on the largest, most societal devastating and costliest scam in history. Why is that som difficult ? Already Karl Marx noted; “If one wants action, then turn off the money knob.” Ergo, start by doing that vs IPCC and all its subs, just do it, damned ! Climataurus Rex needs to re-think his position on “climate change”. Speaking of which, heard there was a short-lived breed of dinom called Oedipus Rex. Wiped out by inbreeding. The Charming Betsy doctrine is one of statutory interpretation of federal laws. It has no applicability to the Paric Accord decision. The Fairbanks Declaration is just feel good statecraft. Useless in fact. The White House Counsel seemed to think otherwise. Its possible they could be wrong, but if serious lawyers think this could be an issue then at the very least it may provide means for environmental groups to force businesses to waste time and money, even if they eventually lose. Driving a business into the ground with legal costs would likely be considered a win. “Force businesses to waste time and money”? Corporate America agrees that AGW is real and supports action, including a carbon tax. Corporate America does NOT want Trump to pull out of the Paris accord. Tillerson was sucking up to the greens in his CEO position so I’m not surprised. The problem is that such positions lend credibility to the poor science upon which the climate change/global warming/extreme weather or whatever these idiots want to call it is based. Did not like Tillerson from the get go. Reminds me too much of some of the CEOs for whom I once worked. Snakes on planes, all. The truth is so malleable with these guys that it becomes difficult to remember the real truth. The Donald also suffers from this malady to some degree. But still soooo much better than Hillary. A simple question. If the US government is taking its time to make decisions – why sign anything? Perhaps instead of merely being indignant, hopefully someone here could point us to some Tillerson contacts which would enable us to help educate the poor man.. I guess it will take a bone fide ice age to finally put the religion of global warming to it’s end. And slap them all with an “ice tax”. You continuously send me requests to support your campaigns. Reason why I have not supported your finances is because you have not yet thrown America out of the Paris agreement, as promised. I thought it was clear from the inquiry by Ted Cruz & associates that there is no man made global warming? 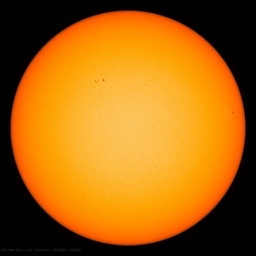 “Concerned to show that man made warming (AGW ) is correct and indeed happening, I thought that here [in Pretoria, South Africa} I could easily prove that. Namely the logic following from AGW theory is that more CO2 would trap heat on earth, hence we should find minimum temperature (T) rising pushing up the mean T. Here, in the winter months, we hardly have any rain but we have many people burning fossil fuels to keep warm at night. On any particular cold winter’s day that results in the town area being covered with a greyish layer of air, viewable on a high hill outside town in the early morning. Hence, looking at my final Rsquare on that, I figured out that there is no AGW, at least not measurable. Arguing with me that 99% of all scientists disagree with me is useless. You cannot have an “election” about science. You only need one man to get it right”. …Look closely at the sending address, you are receiving FAKE Trump Emails….I received the same all through the election…. You mean somebody is still collecting money on behalf of the Trump campaign? I wondered about that. Does Trump even send out requests for contributions for his personal political benefit? I know he raises money for other Repubicans and the RNC but I don’t know that he is raising any money for himself. Sun Tzu would say that when you are near, you must have your enemies believe you are far away. Old Sicilian saying, keep your friends close and your enemies closer. I’m sure many cultures have similar wisdom. It is, however, difficult to determine when these people, who we really don’t know, are playing the game or just stupid. Yes, it’s always good to deceive the enemy. Keep them guessing. What do you all think the odds are that Trump will abandon his anti-CO2 position? Sadly I’m thinking it is a coin toss. As usual after an election the hope for serious change fades. I tend to agree. At the end of the day, big business and big politics all follow the money. Too much money [even our pension money] has been bet on this new ‘green’ culture. All on things that we know won’t work: electric cars, wind energy, eco fuels, etc. I am not holding my breath on actually receiving an answer from the Trump and his advisors to my letter. It’s less than four months after the election and it’s already over according to many. That says more about this country than anything Trump or Tillerson or the media say. What benefit would Trump gain by going back on his campaign promise and signing off on the Paris Agreement? Other than slaps on the back from all the international elites, he will get nothing? I see no upside. I don’t know how Trump could see an upside. There’s nothing about this deal he likes, if you go by his campaign rhetoric. Read investors’ papers, not the MSM. Right now Trump and T-Rex are fence-sitting to buy time for all the companies with deep holdings in renewables and subsidy-dependent technologies to quietly divest. They don’t want a lot of value to be lost by panic-selling when we try to reverse the last 30 years’ trends in the first semester. Even the oil companies invested heavily in this twaddle when it looked like there would be money in it down the line, as Rex very well knows. IBD, WSJ, Bloomberg are not free of bias, but are more real-world than most offerings out there. Interesting take on the situation, Goldrider. That seems a real possiblity. Thanks for the information. The base did not freak over this. We will stay in paris. By the way has trump turned over Tom Karl s mails yet? Rud istivan. Promised us those mails would end the fraud once and for all. …that would be the first time in history. The base that considers climate skepticism a core to their support is in itself a questionable total. My estimate about 10% or 3-4% of the electorate. Most aren’t going to the other side but would stay home. Without this issue we would have Clinton in the WH. The swamp is large, the need for cohesion on climate policy wasn’t on the list or Tillerson wouldn’t have made those idiotic confirmation statements about the “seat at the table”. The President has hardline immigration supporters in much larger numbers. Shorter term the rate of employment will decide his survival. The benefits of climate fraud reductions are longer term and the pain of defunding far more immediate. That’s the advantage the swamp holds. Hence, the policy tactic of finesse on downsizing climate instead of existential elimination of climate fraud. The long game is the argument. It’s a mistake because the underlying support against central planning remains very high. Aside from HC green authority was a signature Obamaism design. The President would have benefited from a total commitment to rolling back Greenshirt extremism. I hope Tillerson has something up his sleeve and not his head up his *ss. May I change the subject? I have been doing some research on how co2 emissions are measured. Since compliance is of the utmost importance for any “treaty”, accuracy must be foolproof. Co2 is not measured by what comes out of the stack but what is being burned. Calculations are based on carbon content of the fuel which is then extrapolated into actual carbon emission. First of all the guidelines are from the IPCC. Strike one. Second is that each country reports what and how much is being burned. Good luck with that. Strike two. There is so much room for fudging that my mind is boggled. Strike three. Climate change, yes. Human caused? You’re out! 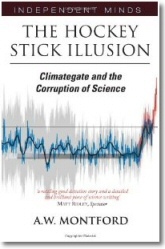 There is no credible statistically significant evidence that man is having any real impact upon global climate. Urban heat, too much trash and garbage and such, yes. But not the global climate. We are like ants crawling upon a very large rock which is 70% covered with water with an average depth of 6500 feet. If we were gone tomorrow it would be difficult to immediately determine that we were ever here in just a few tens of thousands of years and imperceptible from space in just a few hundreds of years. So agree. The world’s population could fit, not live, in the state of Rhode Island. …and that state isn’t even an island, so there’s no worry it will tip over. At the climate and “march for science” events there are always the Exxon hate and villain signage among the base green. The irony of course is that Exxon benefits from the very climate change dogma of the sign holders. Rationing always benefits established interests. At least short-term economically which is why Tillerson advocated for a carbon tax as CEO of Exxon. The same policy the green mob lobbies for while holding Exxon hate signs. The MSM never explores the contradictions. This is the Orwellian new normal of public consciousness. Meanwhile, Arctic sea ice melt proceeds at “unprecedented” slowness. Median area melted between May 1 and 12 for 1981-2010 interval is 632,000 sq km. In 2017 it was only 473,000. Ice extent yesterday was tied with 2014 and higher than 2016, 2015, 2006 and 2004. If present rate differential continues, Arctic sea ice will be back in the 30-year normal range this month. But even if it just tracks 2014, it will bottom out in the normal range in September for minimum extent. August cyclones, as in 2007, 2012 and 2016, could still save Griff from further embarrassment, of course, but a new record low, which he sad was a “sure” thing, doesn’t look likely at this point. Why does any intelligent Human want the North or South Poles to stay frozen and useless ?…N.U.T.S. ! Lets hope we continue to warm until the next ice age begins. Sunken coasts would be more than made up for by a veritably verdant Greenland and accessible Antarctica. Not to mention more farmland in higher latitudes and forests where tundra wastes now cover the land. Because they regulate the planet’s temperature and weather. do look at why the current extent is high – a lot of thin broken up ice being blown out/exported into the Atlantic. There were no cyclones in 2016 and yet that was in the top lowest… the starting point in terms of thickness and volume is much lower than 2016. I strongly suspect that’ll be you actually, Skanky. Tell us, have you apologised for lying about you-know-who’s qualifications yet in a vain effort to discredit her on behalf of the ‘unreliables’ spivs who slip you the odd drink for making a total fool of yourself? Yep, we’re going to make it colder with your money. Effing idiots. From the work done on climate models and in consideration of the paleoclimate record, one must conclude that the climate change we have been experiencing is caused by the sun and the oceans over which Mankind has no control. There is no real evidence that CO2 has any effect on climate and plenty of scientific reasoning to support the idea that the climate sensivity of CO2 is zero. So fighting climate change is just a waste of time and money. Mankind has yet to change a single weather event let alone change global climate. All kinds of ‘cross currents’ running….. Head of the EPA (Scott Pruitt) has reversed an Obama era EPA decision and will allow the Pebble Mine project in Bristol Bay AK to proceed with site evaluations and permitting applications. The USA ‘financial industry’ is largely responsible for the mess we’re in. They control the UN (at arms-length) and they controlled Obama and increasingly they’ll control Trump. The enemy is not Islam or Liberals or indeed Green lunatics. The enemy is the World’s -USA based- Funds Management industry. Know your enemy . . .
My brother is in the ‘business’ pal and it’s rife and carefully controlled by the top echelon primarily across the US, UK and French FM industry. Some of their dirtiest deals have been in Australia and just one example is the French desalination plants (tens of millions and never used) for which everyone (including the local politicians of the day) got a slice of the filthy green stolen money. Get knowledge before coming at me with your deluded, sanctimonious blame-shifting green slogans. You’re either ignorant or complicit . . . which one we wonder? J Mac I guess you asked for that; however, it appears I was hasty because I’ve just read some of your posts and you’re not a green lunatic . . . so apologies mate! Do check out the Melbourne desal-plant in particular that costs Victorians on every water bill (without any water supplied) and is not needed as there’s more than adequate water and always will be. Our members include: Northern Trust Corporation, U.S. Indeed Barb the UN’s coordinating body targeting Government (policy makers). Most banks and institutions in the climate cartel will not invest until Fund Managers invest. The risk must be underwritten primarily by individuals before private wealth in particular will get involved. The USA is debt ridden and the climate cartel is accelerating the march to recession from slow to mid pace IMHO. If the US doesn’t shut the gate soon, China will be the World’s super power inside 100-years. I didn’t ‘ask for that’ rant and I’m not ‘ignorant or complicit’ in any ‘conspiracy’ (one wonders?). I simply asked you to substantiate your allegations. Statement also includes IPCC reference. Thanks for asking for more information! Meanwhile the Russians have fitted out a submarine to do seismic prospecting under the ice. I would not surprise me if they are working on or have a submarine that can drill and produce oil and gas under the ice. “Seismic Prospecting” with a sub…very logical and feasible…Drilling with a sub…not very feasible..or logical…. (I’ve helped drill over 2,000 Geothermal Wells in Ontario…)..25 or 50 foot drilling rods and required casing pipes (no use drilling a hole just to have it collapse on you) are extremely heavy..better to let gravity do the work for you from a surface ship…Just sayin’…..
A submarine type drilling platform would enable them to drill in the areas they claim, also not allowing satellites to see what they are up to. I can imagine a submarine type contraption that can be towed to location then tilted up on end to work. It would sit right below the ice with snorkels coming through the ice, or partly surfacing when conditions were favorable. Not economic or logical, however drilling in thick ice that is moving is does not leave many choices. I give Tillerson just about as much credibility as Kerry. Both men can sign whatever they want. Who cares!? Neither signature does more than signify, “yeah, this idiot signed his name”. This Fairbanks declaration is a mish-mash of various environmental causes hat are little known and less understood. Here was a chance to oppose the continued protection of polar bears that was never a necessity but was fraudulently enacted thanks to political pressure from environmental groups. But no – yhese Arctic leaders go off with yet another bunch of environmental projects. They even plug tor reduction of mercury pollution which I had not heard of as an Arctic problem. The worst part of this declaration, however, is its support for the Paris agreement which is against our national interest. As the Secretary of State should know but chooses to ignore. It is clearly stupidity but the Secretary of State obviously is not a stupid man. I accuse him here of laziness, of not taking the time to think it through. What amuses me is their treatment of Arctic warming. Arctic warming is not greenhouse warming as I proved in 2011 but nobody involved has done their homework here. The only datum they do have is that Arctic warming is twice as fast as the warming of the rest of the globe is. From that they suggest mitigation and suggest also to “strengthen resilience” whatever that may mean. This nonsense again comes from not doing their homework. Mitigation could not be accomplished without geo-engineering the entire North Atlantic current system. That is because the reason for the speedup of Arctic warming was not an extra dose of carbon dioxide but a rearrangement of the North Atlantic current system at the turn of the twentieth century. Gulf Stream acquired a new path by this and began to deliver more of its warm water into the Arctic Ocean than before. I even had a satellite photo in my paper showing how this warm water was reaching the Russian Arctic. And then Spielhagen et al. took an Arctic cruise and measured directly the temperature of Atlantic water entering the Arctic ocean. It was a record high. But with all these Arctic observations the dopes suggesting mitigation still cling to the carbon dioxide greenhouse fantasy. It is simply incorrect. What’s the difference? you might ask. The difference is in believing that greenhouse gases are warms the Arctic instead of natural forces as I proved. To still cling to the greenhouse gas fantasy after this has been proven to be false amounts to an irresponsible act by our Secretary of State at Fairbanks. To get the facts, read my paper in Energy & Environment, volume 22, issue 8, pages 1069-1083. I don’t think you can blame Tillerson for being stupid or lazy. Tillerson is only doing what Trump wants him to do, so if anyone should be blamed, if that is appropriate in this case, then it should be Trump. Trump’s appointees are not lone wolves going off on their own. They are doing things that have been cleared with Trump beforehand. Maybe it is more comforting to blame the subordinates, and in some cases, the subordinates may be the ones at fault, but that is not the way Trump operates. He is the one in control. If his appointees are doing something, they are doing it with his blessing, or at least his agreement. Fair enough. Let’s ask the participants. Did you. Mr. Trump, tell Mr. Tillerson to sign the document with the Paris agreement in it or did he dream it up himself? When Trump flips on pulling out of the Paris Agreement, will Pruitt resign? Russian interference in the election so far amounts to fake news stories on Russian tv outlets like RT (which noone watches), in combination with a bunch of internet trolls (who noone reads). None of that activity had ANY effect on the American election. The only thing that might be connected to Russians interfering in our elections is the publishing of Democrat emails, which revealed the sordid truth about the Democrats and Hillary, for all to see. That revealing of truth might very well have had an effect on the outcome. The only problem is that email release hasn’t been firmly connected to the Russians. And even so, how can knowing more truth about a candidate be bad for our elections? It might be bad for a certain candidate, but whose fault is that? Not the Russians. Not Trump. Would Pruitt resign? I think it will depend on what exactly happens. Pruiit has said he thinks humans might be having some kind of effect on the atmosphere, although he doesn’t go so far as to say the climate is changing because of it, instead, he says a lot more study needs to be done. Which is the right attitude. So Pruitt is not a die-hard skeptic like a lot of us are who think the onus should be on actually proving some kind of link between humans and the climate before assuming there is, without any evidence. I’m one of those ‘leave it in the ground’ people, because we really don’t need to drill right now. The Permian Basin field has been found to be far more extensive than previously thought, and the Bakken Ridge field’s product wasn’t the poor quality expected. It is much higher, lighter and more volatile than usual for shale oil, making it easier and less expensive to crack. Vlad Putin sold 50% of the drilling rights in January 2017 to Swiss-based Glencore and Qatar. He also sits on the largest shale oil reserves in the world. OPEC has been crumbling for several decades. The Saudis may set the commodities market price for oil, but the bubble price was a one-off and is unlikely to be repeated. The wells in the Bakken Ridge that were drilled and capped can be reopened if needed. While there is exploration off US Atlantic coast areas for more drilling, the previous administration put drilling in those places, the only smart thing that came out of that admin. Vast improvements in engineering to get the most out of the oil molecule for vehicular use, including the addition of ethanol, simply stretch out the horizon for our petroleum reserves. I’m saying we don’t need to use the reserves we have. We don’t need to do anything but acknowledge their existence and location, in case we ever do need them. They’re like having a massive savings account: don’t spend the product yet! Hang onto it! We may be coming into one of those recurring periods of interminable cold, aka LIAs, which show up during interglacials. Since I use gas to heat my home and cook, I want a more reliable source for those purposes than electricity generated by unreliable air mass movements and fragile machinery. I’m just saying leave the reserves in the ground until we really need them. We don’t need them right now. Vast improvements in engineering to get the most out of the oil molecule for vehicular use, including the addition of ethanol, That ‘vast improvement’ reduces mileage by 10%, meaning you have to burn more fuel to go the same distance, meaning more pollution and more expense to produce. That’s not engineering, that’;s idiotic. I say let the free market decide, not government. The word “need” is a philosophical one, and doesn’t belong in the discussion. Who decides what is “needed” anyway? And the idea of “leave it in the ground” smacks of malthusianism. The metastasization of the climate corruption through 0government, academia, religion, corporations and investors is dangerously advanced. Post normal science only thrives in post normal societies. We are in serious hurt. This awful agreement sets a very bad precedent for the US pulling out of the Paris Agreement (PA). With Ivanka (a very pro-CAGW supporter) riding herd on Trump’s official Climate Change policy, this agreement indicates The Donald will at least propose “tentative” adherence to the PA–which stinks on ice. Trump has already twice postponed his decision on the PA, which does not bode well…. Ivanka and Jared are a real problem. Trump seems devoted to them and trusts their advice. To whom in his administration that could & would contradict them would Trump listen? I would say the 100 trillion of crony Paris “cost” which is largely someone’s income (swamp) is the larger issue. 2 million “green” jobs with many tied to “climate” rationalizations are the consideration short term for a President largely elected over the inadequate level and quality employment compensation and trends. Does he think dropping the hammer on Tesla’s $7500 per car Fed subside and the results that follow are going to help or hurt him? He already signed off “yes” to the ethanol corn inflation boondoggle for the same pragmatism while campaigning. As Ted Cruz what opposing ethanol did for him in Iowa?? President Trump is lacking but the wishy washy skeptical base more so. Skeptics are stuck 30-40 years behind the debate stakes with spaghetti charts and “about science” dogmatism. They should be organized and unified against green central planning and global tyranny as a voting block that the President wouldn’t flirt with betrayal on the Paris withdrawal commitment. It’s the skeptic community that bares the blame for the underlying spinelessness in most climate debates. I’ll blame the President as well but there is plenty of blame to go around. Skip the science links, just tell them if he caves on Paris Climate Fraud withdrawal, which he campaigned supporting, he’ll be dead to you forever and you will oppose him in the next primary because of his betrayal. The phone center keeps business hours Monday to Friday and it can be tedious. Possibly one more person who should get the boot. Yes, save it all for the Russians, North Koreans, and Chinese. They need more motivation for their efforts with mobile missiles, etc.